In Delhi, gold of 99.9 and 99.5 per cent purity, in thin trading, ended flat at Rs 33,210 and Rs 33,060 per ten gram, respectively. Sovereign gold, also remained unaltered at Rs 25,500 per piece of 8 grams. 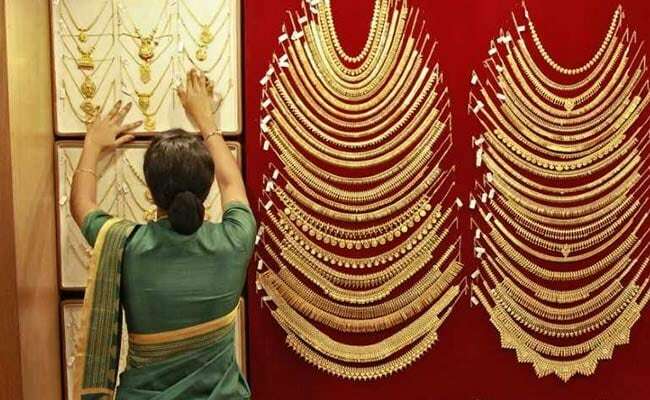 Gold prices held steady at Rs 33,210 per 10 grams at the bullion market on Thursday in scattered deals even as the precious metal weakened overseas, reported news agency Press Trust of India (PTI) quoting the All India Sarafa Association. Silver prices, however, turned weak and fell by Rs 210 to Rs 39,950 per kg due to reduced offtake. The fall in silver to subdued demand from industrial units and coin makers at the local spot market, said the report citing traders. 1. In Delhi, gold of 99.9 and 99.5 per cent purity, in thin trading, ended flat at Rs 33,210 and Rs 33,060 per ten gram, respectively. The precious metal had lost Rs 115 on Wednesday. 2. Sovereign gold, also remained unaltered at Rs 25,500 per piece of 8 grams. 3. Globally, gold held steady on Thursday, supported by a softer dollar due to concerns the prolonged US government shutdown will limit economic growth even as concerns of slowing global growth grew, reported news agency Reuters. 4. Spot gold was mostly steady at $1,282 per ounce in intraday trade, while US gold futures were down 0.2 per cent at $1,281 per ounce. 5. Silver ready lost Rs 210 to Rs 39,950 per kg while weekly delivery fell rather sharply by Rs 993 to Rs 38,994 per kg. Silver coins, however, held flat at Rs 77,000 for buying and Rs 78,000 selling of 100 pieces.